Trading binaries through our simplified platform is easy, secure and convenient and we extend that same philosophy to our banking methods. The WinOptions banking system is a fusion of the industry’s highest level of security and an intuitive interface to ensure that all financial transactions are delivered securely and efficiently. All payment and withdrawal methods are guaranteed safe and easy to complete, two top qualities that will smoothen out your banking experience. We offer the most credible, convenient and safe banking methods that allow you to transfer funds to and from your account in a number of currencies with total ease. This goes for both fiat and cryptocurrency payments, so there’s no need to worry about transaction hassles. Not only that, we take safeguarding your private information extremely seriously, and we deploy the most advanced encryption technology to keep you and your funds protected at all times. Any credit or debit card information is stored in our secured server to ensure hackers and online intruders are kept at bay. Knowing that financial transactions contain sensitive information, we test our website’s security so all our traders can invest and trade Win Options with confidence. Depositing funds to your WinOptions account is speedy, easy and most of all, secure. The funding process takes only a few minutes to complete and the funds will reflect in your trading account within a short period of time. Simply choose one payment method that’s the most comfortable for you to use. Credit/debit cards – The most common method of them all. Currently, we accept the following credit/debit cards: MasterCard, WinOptions Visa, Diners Club International, Maestro, American Express and JCB. Electronic wallet services – For expedient funding process, you may use any of these e-wallet service providers available in our Win Options banking system. This includes OKPay, CashU and iDeal. It’s a perfect substitute for those who don’t have credit cards or don’t want to use one when depositing funds to their accounts. Wire transfer – Send money directly from your bank account to your trading account via wire transfer. Please be advised that there’s a processing fee associated with wire transfer transactions. Cryptocurrency payments – Due to the largely growing section of Bitcoin, Bitcoin mining, Litecoin, Litecoin mining, Dogecoin, Dogecoin mining, cryptocurrency trading and cryptocurrencies in general, Win Options decided to accommodate Bitcoin and altcoin users through its payment processors. This means you don’t have to go out of your way and look for a specific exchange platform to convert your cryptocurrency to cash. Through the cryptocurrency-accepting processors, you can do it all here. 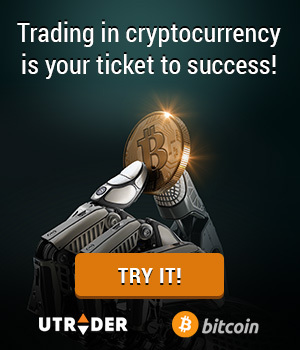 Start trading right away. You can withdraw funds by using your credit card or by the same payment source that you used when you fund your account. During the registration process, you will be prompted to choose the type of currency that you wish to use for trading. These currencies are US Dollar, British Pound, Euro or Japanese Yen. Please note that you cannot change your chosen currency once the registration is complete. Traders should comply with the minimum deposit requirement in order to start trading. The WinOptions minimum deposit amount is $/£/€/¥100. Yes. The minimum amount required for withdrawal is $/£/€/¥50. We offer the lowest rates in terms of deposits and withdrawals. How long does it take before the funds reflect in my account? 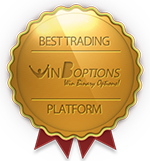 At WinOptions, all withdrawal requests are handled as quickly as possible. Approved requests usually take 48 hours up to five business days to reflect in your account, depending on the method you used. Should you use your credit card as your method, you will need to submit the following documents for verification purposes: photocopy of your credit card (front and back), copy of recent bill and copy of your valid ID. Once you have submitted the documents, we can begin to process your withdrawal request. Failure to submit the abovementioned documents will mean cancellation of request. We have designed our WinOptions banking system to be as essential as our trading platform. If you have questions about payment processing and withdrawals, contact our customer support team through phone, e-mail or live chat option.